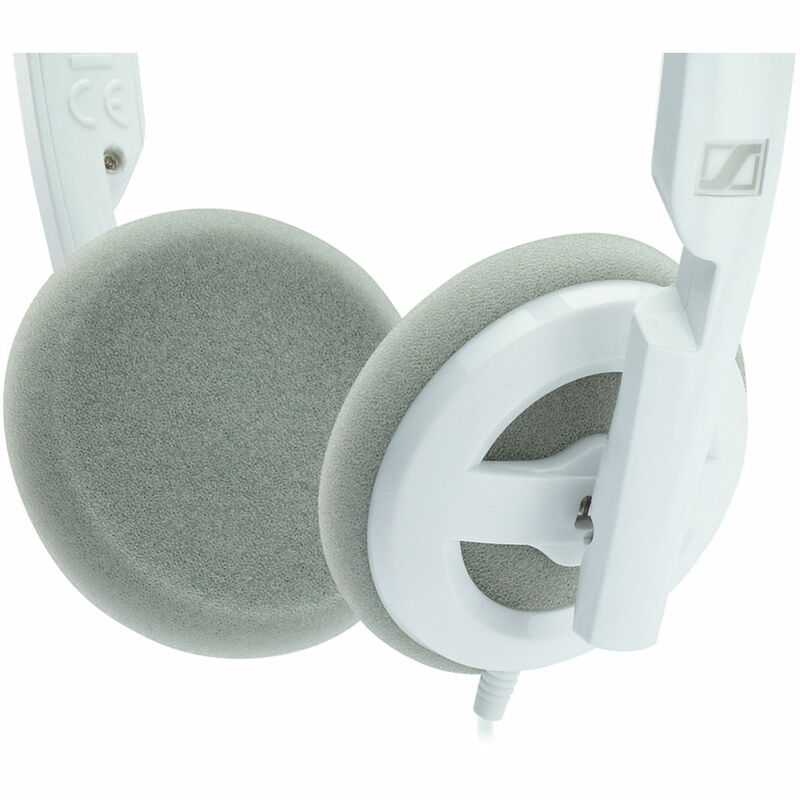 This pair of Replacement Earpads from Sennheiser allows you to replace the earpads on your PX 100-II headphones if they get lost, dirty, or worn out. The soft foam material provides a comfortable fit. Box Dimensions (LxWxH) 4.05 x 3.85 x 0.45"
Replacement Earpads for PX 100-II Headphones (White) is rated 5.0 out of 5 by 5. Rated 5 out of 5 by J M from Sennheiser 100 replacement ear pads Well, this is among the simplest items possible: replaements for the original ear pads which had begun to crumble into flakes and pieces. B&H, of course, had replacements in stock, Sennheiser authenticity. They were easily found, shipped in a timely and secure manner, AND they were easily 'installed' (slip on) and fit pefectly as one would hope and expect. They ARE white, but that sets up a nice contrast with the black of the earphones. They have made a very good set useable once more. I'm very happy with this: service, shipping, and part. Well done, B&H. Rated 5 out of 5 by Steven from Perfect match These are just like the original ear pads for the Sennheiser PX 100 II. ?The color and size match exactly. Others that I saw on line elsewhere were not a good match. ?These keep the headphones in use! B&H got these to me promptly, too. Rated 5 out of 5 by Gary from Perfect Fit Earpads I love my PX 100 headphones, but eventually the pads wear out. These are exact replacements and are simple to replace. Rated 5 out of 5 by Wayne W. from Great product! These are pricey, but are high quality and fit my Sony MDR-40 headphones very well.